The piano has become one of the worlds most popular instruments. Millions of people play the instrument, and it’s one the most featured in various genres of music. Before the piano, there were a lot of other instruments in existence. How the piano came to be is really a fascinating story. So, who invented the piano? Bartolomeo Cristofori invented in the piano in the early 1700s. It was called the fortepiano and was developed to replace the harpsichord. The fortepiano pioneered the hammer action mechanism used in today’s modern pianos. Before Bartolomeo Cristofori invented the piano, there were a lot of other instruments leading the way for music at that time. Let’s take a look at the evolution of the piano and it how it developed into what it is today. The modern piano today as we know it is a wonderful instrument. It can produce beautiful melodies, dynamics, and it works well in collaboration with other instruments. It wasn’t always this way with the piano though. Before the piano, there were other instruments that worked similarly, but never quite reached the level that the fortepiano set forth. To better understand how the piano has gotten to its current form, we’ll take a look at its beginnings. Before the piano, there were many string based instruments out there. The piano can be traced back as far as the monochord; a stringed instrument that used just one string against a wooden frame. Even the dulcimer has similarities with strings that are struck by handheld hammers. Perhaps the closest instruments to the fortepiano at the time were the clavichord and harpsichord. The clavichord was a portable musical instrument that combined both strings and a keyboard to help produce music. The sound was created when a set of metal blades strike a pair of strings. Those metal blades are called tangents and are attached to each individual key. In total there are 27 keys on most clavichords. The unique correlation between clavichords and fortepianos is that clavichords allowed for some sense of dynamic control. The big exception is that the clavichord could only produce sounds at very low dynamic levels, often piano to pianissimo at most! Considered a rather soft instrument, the big difference between the clavichord and harpsichord is in how each produces sound. A clavichord works by striking the strings while on the other hand, a harpsichord uses a plucking mechanism. Watch the video below to get an idea of how the clavichord works in action. After the clavichord comes to the more advanced version, the harpsichord. Harpsichords were much bigger instruments, often featuring 61 keys. This not only expanded how many notes a keyboardist could play, but it also paired nicely with the developments in the Baroque repertoire. When a keyboardist presses the key, the jack lever lifts allowing the leather plectrum to flip up and pluck the strings. Because of this mechanism, the harpsichord generally produces very loud dynamics with little effort. The only way to control the dynamic levels of a harpsichord is to adjust the stops. Harpsichords with multiple manuals allow for keyboardists to have each one set at its own volume level. Often times harpsichordists would play the melody on the louder manual, and the accompaniment on the softer manual. While this workaround sufficed at the time, it was very complex work. Not being able to adjust the tone of the instrument with touch was a huge limiting factor. Because of the limitations of the clavichord and most notably the harpsichord, there became a need for an instrument that could do more. Bartolomeo Cristofori developed hammer action mechanisms that could strike the strings. The difference between his invention and the clavichord though was that there would be much more dynamic control. This lead to the creation of the fortepiano. The fortepiano had the same 61 keys of the harpsichord but eliminated the need for multiple manuals in order to produce those different volume levels. For the first time, pianists could support the melody without overshadowing it. These pianos also featured stops and knobs to allow for better sustain of pitches, unlike harpsichords. The instrument was almost much bigger allowing them to fill rooms up with richer sound. Unlike today’s piano hammers which are thick and covered in felt and wool, fortepianos used leather-covered hammers that were extremely thin. In general, fortepianos have very light action because the parts are also light. The original fortepianos only had four octaves, much less than the seven octaves of today’s modern pianos. Compared to a harpsichord, the fortepiano had much thicker strings that were struck in pairs. With the exception of some fancier harpsichords, a basic harpsichord plucks just one string. Over the years the fortepiano had gone through several more iterations. Some fortepianos started to feature more keys to help accommodate for newly composed repertoire. Composers such as Beethoven made a great push towards an instrument that could allow for more. Other keyboard builders also began to modify Cristofori’s design to help make the instrument more suitable for performance venues as well. 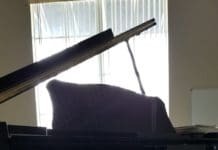 Silbermann is one notable builder who began adding hand stops to the instrument to perform the function of what we know today as the sustain pedal to fortepianos. Fortepianos deeper into the Baroque and early Classical era began to feature more unique levers and other custom modifications to allow for changing tones and sustain adjustments. Over the years the instrument became more durable with experimentation with types of woods. The action of the piano also underwent more modifications to help generate different tones and be more responsive to a pianists touch. The range of the instrument also began to expand. By the early 1800s, the modern piano was the staple. Thanks to the advancements of the Vienesse and English builders, the fortepiano piano had developed substantially. From different types of wood casings to heavier key action, different hammer materials, pedals to control the dampers and much more dynamic capabilities. The instrument had taken on a much different form, pushing the limits of anything up to his point. Much of this development was sparked by the change in Romantic-era music and composers pushing the limits on what the instrument could do. With orchestras becoming popular, instruments needed to be figure and how more capabilities to be featured alongside them. Pianos not only increased in size, but they increased in quality. Where the modern piano differs from the fortepiano is just how well it can change dynamics strictly off of touch sensitivity. The sustain of the notes is also much more reliable with the soundboard and sustain pedal. The increase in octaves also allowed for more brilliance in playing. As the United States got into the piano building, the instrument really flourished into what it is today. Eventually, the piano reached a full 7 octaves with additional keys. 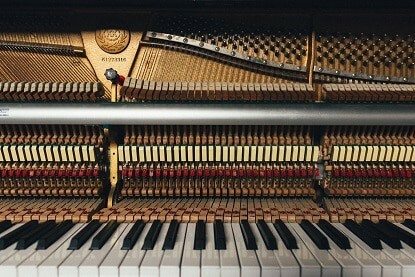 There are a total of 88 keys in today’s pianos. Pianos today also take substantially longer to build than those of the past. A typical grand piano takes at least 1 to 3 years to build from harvesting the wood until the final regulation. Pianos are now built in large factories with expert technicians using the latest CAD software to design the instruments. there are also many pianos that now feature anywhere from 92 to 108 keys. Pianos are also much bigger in size with the average concert grand measuring in over 9′. There are a few that go well beyond 10’3″! Baby grand and upright pianos are the most common pianos found in the home, usually not exceeding 5′ in height or length. As the instrument developed so did the type of music being played on them. The piano became a staple in Jazz, Gospel, and even Rock music. Electronic versions of the instrument are now available in the form of digital pianos. What’s unique about digital pianos is that they simulate the same hammer action mechanisms that can be found in an acoustic instrument. 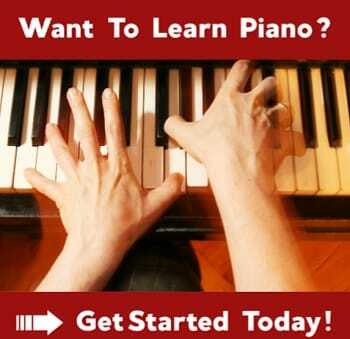 Pianos in this day and age also cost considerably more than any other instrument. 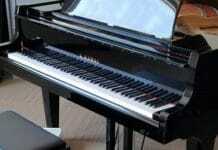 For example, a concert Steinway D costs well over $170,000. A lot of that has to do with the branding and profits of the instruments. Also, the labor and materials used in pianos are much different than they were back then. Many grand pianos are now made with polished ebony and satin finishes. More elaborate pianos are actually engraved and some even have precious stones added to them. The piano as we know it today is the standard 88 key instrument. While there appears to be no huge change from this, there are some clear signs the piano is modernizing. Builders like Bosendorfer are starting to build instruments that are much bigger in size and have more keys. While there is not a lot of music being composed for bigger pianos, there is a trend to pianos that can test the boundaries of technology. The action of instruments is becoming more refined, and 3D design software is allowing piano builders to make instruments that are more consistent and fluid. One of the unique technologies I like is a step up from the Disklavier systems. Acoustic pianos like the Steinway Spirio are using state of the art technologies to not only play themselves but also incorporate the dynamics of historic performances. 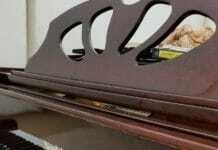 As more and more is added to pianos, the costs are rising. Because the technology is new and the materials to build pianos is so scrutinized, there does not appear to be a clear decline in pricing. The instrument is also gaining popularity again, especially in overseas markets.